Best Cameras for the Aspiring Outdoor Media Creator — Outdoor Evolution | Explore. Create. Inspire. One of the greatest things that you can do during a thru-hike, bike tour, National Park trip, etc. is to document your adventure through photos or video. You can inspire others by posting your photos or video on various social media platforms, or keep it just for yourself for the future. It’s always a great experience to relive your adventure through media. Here is my breakdown of some of the best cameras and accessories for the aspiring adventure media creator to consider to help to document your journey, whatever it may be. Get started making outdoor media with these easy to use budget friendly cameras. Most of us already have a phone in our pockets, so why not start there? Most of today’s smart phones have amazing cameras, stabilization for video, and editing software all built into a device that you are already likely to be carrying. I personally used the iPhone 7 Plus to take 95% of the photos I captured during my 2018 thru-hike of the Pacific Crest Trail. Not only does the iPhone take phenomenal photos, but it also has become one of the most popular phones for thru-hiking “vloggers” capturing their entire hike for online audiences. Even though there are newer models of the iPhone, the 7plus tends to still be a favorite among this crowd. 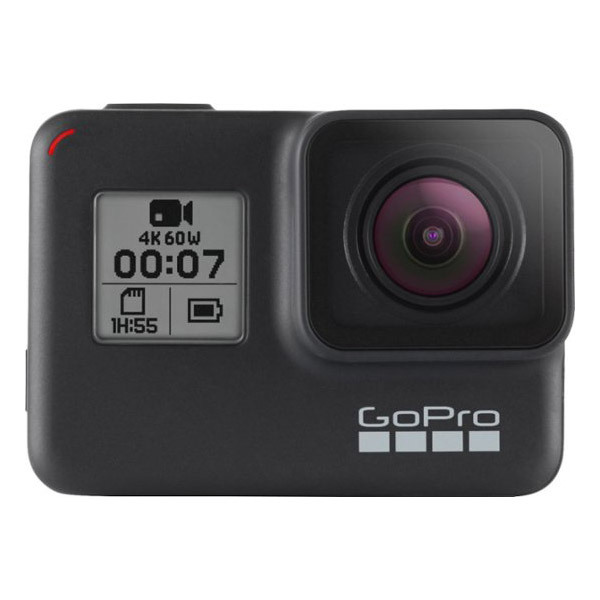 The GoPro Camera has become synonymous with outdoor adventure media creators over the years with multiple action camera models for filming in just about any environment. The camera itself is small, versatile, and packed with great features for the aspiring outdoor action videographer. The Hero 7 Black has 4k at 60fps, 8x Slow-Mo, live streaming video, voice control and “hyper smooth” digital image stabilization. With tons of different mounts to shoot anything you can think of and most models being waterproof (to a point), the GoPro is a great media tool for filming out in the elements. New to the camera scene, this literally pocket-sized powerhouse of a camera has started to blow up as one of the most anticipated and popular choices for upcoming outdoor media creators. This tiny camera packs in HUGE specs like 4K Video at 60fps, slow motion, Time-Lapse Motion Lapse mode, and of course a 3 Axis Gimbal. Weighing in at a mere 4oz (116g) this little guy plugs straight into your phone for better video control and editing with it’s own app software. Going with a good point and shoot camera can give you some really nice results in an all-in-one pocket-sized package. The G7X Mark ii has become one of my personal favorite go-to cameras for long distance hiking. Filming my entire 2018 thru-hike of the Pacific Crest Trail, this little 1” sensor camera has yet to let me down while capturing day-to-day trail life to share with my YouTube audience. A few of my favorite features include: flip up "selfie" screen, in-camera charging (so I can leave my battery charger at home), 1.8 Max Aperture, 24-100 focal range, and super smooth Digital IS. If I want to go ultra light on the trail and capture high quality video, this is always the camera I reach for first. A staple for most long-distance hikers, the Sony RX100 is probably one of the “most used” cameras that I have seen on the trail. 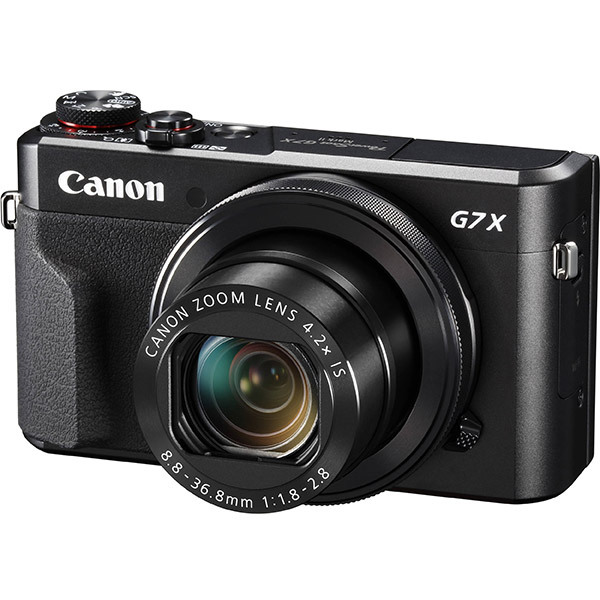 This camera is compact, lightweight, weather sealed, packed with a 1” CMOS Sensor, 24-70mm Lens, 4K video, Optical IS, slow motion, and includes a pop-up viewfinder. One of the most “low profile” compact designs, it’s no wonder this little high-spec point and shoot is a trail favorite. Going with a Mirrorless Camera on your adventure opens up possibilities like external audio interchangeable lenses to give your videos and photos a more professional touch. Interchangeable lenses, APS-C Sensor, flip out articulated screen, Dual Pixel auto focus, 4K (cropped) video, built-in time-lapse mode, and digital image stabilization; this is the camera that I recently upgraded to for all of my trail videos. The M50 might not be the highest spec mirrorless camera on the market, but for the features, it does have, it might be the lightest most compact option out there, especially for the price. Top shelf features in a compact mirrorless package. The GH5 is a Micro Four Thirds Sensor Camera that produces some of the best cinematic footage that is currently coming out of a travel-sized package. Loaded up with professional specs, the GH5 rocks a 5-Axis IBIS, flip out articulated screen, dual SD Card slots and Internal 4:2:2 10-Bit 4K video at 24/30p (which is insane for its size). A little on the chunky side both in weight and price, this would be a great camera for anyone looking to get the most professional look out a travel-friendly package. One of the most popular choices for outdoor media creators looking to get a professional result is the Sony A7 series camera. Full frame 24.2 mega pixel sensor, weather sealed, 4K video, 5-axis optical IS, dual card slots. The Sony A7 iii is definitely not “budget friendly” but the quality you get for the price is the reason this camera is used by a lot of media creators in the field. If you want to get to get the best results out of your camera in the field, here are some accessories that every Photographer and Videographer needs. Just about any tripod will work in the field, but if you’re looking for something lightweight, compact and well-built, the Pedco Ultra-Pod II is hard to beat. 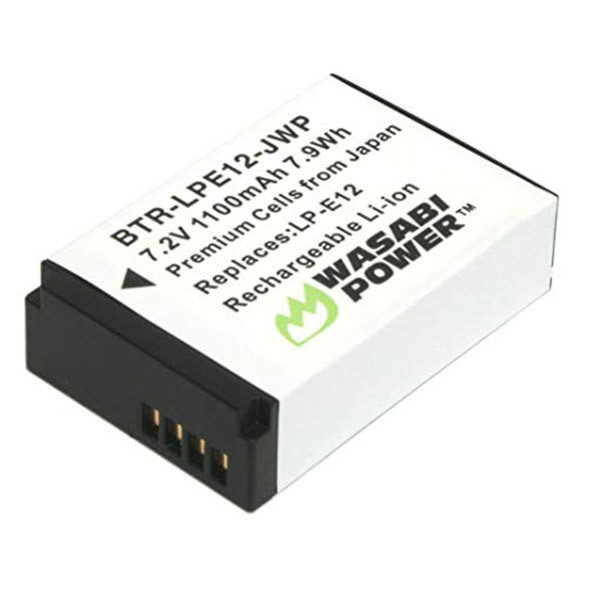 This one should obviously be a no brainer, but make sure you have plenty of extra batteries. The amount of batteries, of course, depends on how long you plan on being out. You don’t want to miss out on that shot of a lifetime thanks to dead batteries. The following are the brand I personally use in all of my cameras. Just because you have extra camera batteries doesn't mean you won't run out of power. If you plan on being in the field for extended periods of time, having a backup power bank is always a good idea. The Anker PowerCore 10000 is my personal favorite and served me well on 2,650 miles of the Pacific Crest Trail last year. ND Filters are a game changer when shooting in daylight. Instead of changing the aperture to reduce the amount of light in the shot, adding one of these bad boys, allows you to adjust the exposure, saving the overall quality of the image. There are a lot of different ND Filters on the market, but the Tiffen Variable ND is what I carry to get clean footage. Good glass makes a big difference. Keep your camera sensor and lenses cleaned with the power of air. Dust and sand can wreak havoc on your gear if you're not careful. This little guy is a great asset to any Photographer or Videographer. When you’re ready to really step your media up, the following are great tools to have in your arsenal to get new angles and interesting shots to make your content stand apart from the rest. A Gimbal can help you get buttery smooth shots while in the field. Great for establishing shots, b-roll, and follow footage, Gimbals can really give your videos a professional look. New to my personal camera toolbox is the Ziyuyn Crane Plus. Like a gun holster for your camera, the PD Capture Clip allows you to quickly grab your weapon and take the shot without digging around in a camera bag. Sometimes controversial in the backcountry, a drone if used properly, can allow you to get amazing areal shots of your surroundings. A drone can also help you establish a better story by bringing those surroundings to your audience. The rarely used yet effective drone I keep in my arsenal is the DJI Mavic Pro. Capturing clean and clear audio can definitely help give your videos a professional feel and sound. Obviously, your camera needs to have an external audio jack, but if it does not, the Rode Video Micro is hard to beat for good clean audio in a tiny package. DISCLAIMER: This article contains affiliate links! 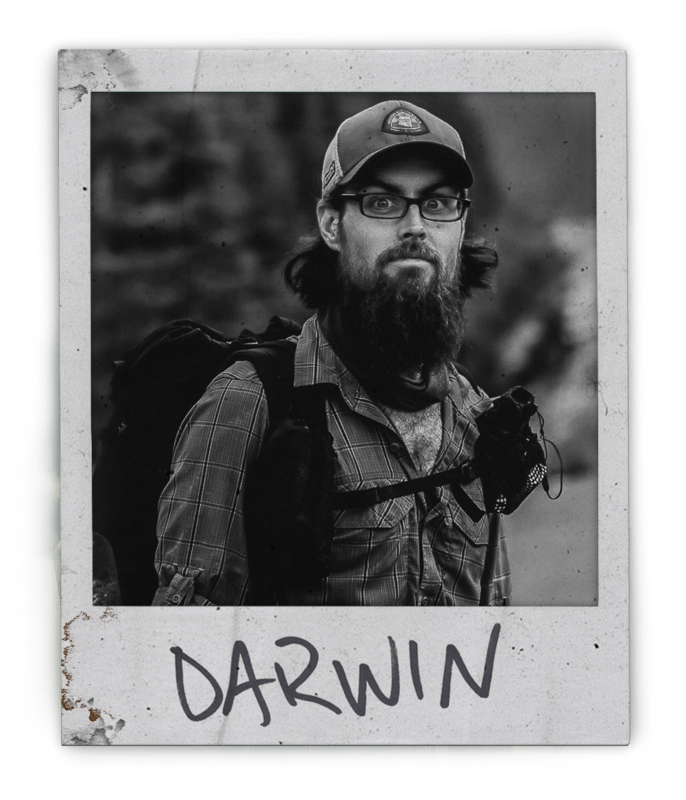 This means that if you click on one of the product links and buy something, Outdoor Evolution will receive a small commission at no extra cost to you. This helps keep the website up and evolving! Thank You!